Prepping for back-to-school means juggling after-school activities and loads more stuff. 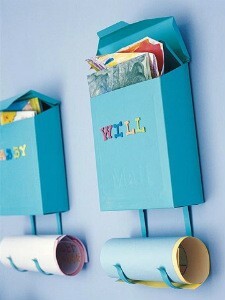 These 5 organization hacks will keep your family organized and ready for anything. Where are my shin guards? Did you sign that permission slip? I can’t find my sheet music! When you’re trying to get kids out the door and to their after school activities, time is at a premium. Taking a few minutes now to modify your organization process can help streamline things when you’re in a rush. Here are some of our favorite ideas from parents and caregivers who’ve been there, organized that. 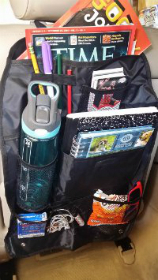 Once you create a ‘stuff station’ for homework, permission slips and projects be sure to add a hook for an after-school activity drawstring bag. If you have a child with a lot of various interests, consider making an individual drawstring bag that is designated as the one place to keep any and all equipment for each sport or lesson. On Mondays and Wednesdays your child knows to grab the yellow drawstring bag with their shin guards and cleats for soccer. On Thursday the red bag is ready at the door for martial arts. 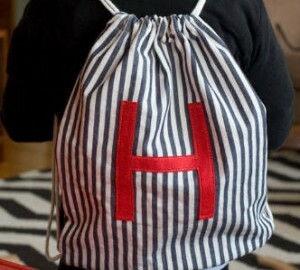 Momtastic.com has a great DIY tutorial for customizable drawstring bags. So simple! Homework happens. If there’s one thing to dread with the start of the new school year, it’s the renewed battle over nightly homework assignments. Convincing kids to sit down and do their work is one of the hardest parts of a parent’s job. One way to get them excited about homework is a comfortable and creative space dedicated to them…even if that is in the car. Consider creating a homework station in the car so that your little ones can knock out some homework while you’re on the road. Kids start school relatively early in the morning each day. That means a big gap between lunch time and after-school snack time. Kids need to refuel, and every parent knows how difficult it can be dealing with cranky, “hangry” youngsters. StuffedSuitcase.com has made it easy to steer clear of junk foods and other unhealthy quick fixes by gathering some easy-to-assemble snacks to keep ready in the car. After-school snacks can be healthy, fun and mobile! 5. Organize Your After-School Schedule, Too! ActivityHero can help you find local activities that work with your child’s calendar — and nurture his or her interests! Whether your child likes dance, sports, outdoor recreation, music, or computers, ActivityHero makes browsing and registering easy. Getting organized is about clearing the space and time for your family members to meet their needs and find focus, in whatever way works for you!